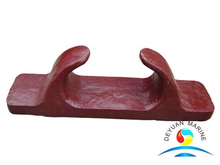 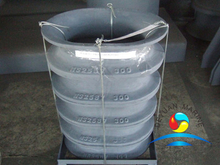 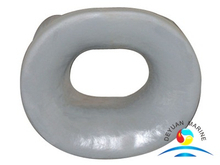 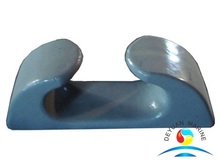 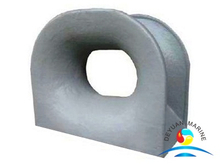 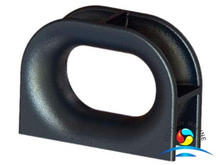 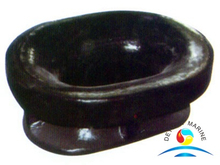 Marine Mooring Chock was made of cast iron or cast steel or stainless steel,it is commonly use to guide ropes for ships/vessels. 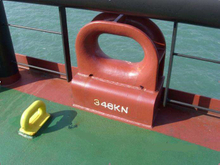 According to the position on board,we devided into open type and closed type mooring chock which meet with the standard of JIS2005/2007/2030, JIS2017, NS2587,NS2590,DIN81915,Spanish,EU,GB,CB etc.Installation of the mooring chock can be deck-mounted or bulwark mounted.Our products including marine mooring cleats,boat mooring cleats,dock mooring cleats,stainless steel marine cleats,marine roller chocks,etc,and are all with high quality. 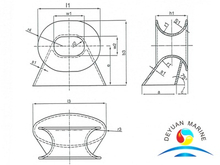 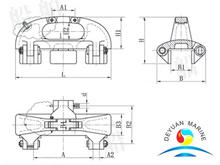 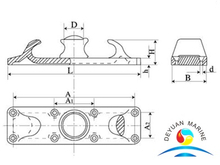 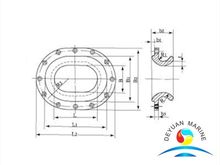 Deyuan marine can offer a wide variety of sizes and features,welcome you to send us yr speical request,we will give you a quick response and very good price.